If we desire a fresh start with different outcomes, it requires us to have clarity in what we want, committed mindset, courageous actions and the cultivation self-care and community. 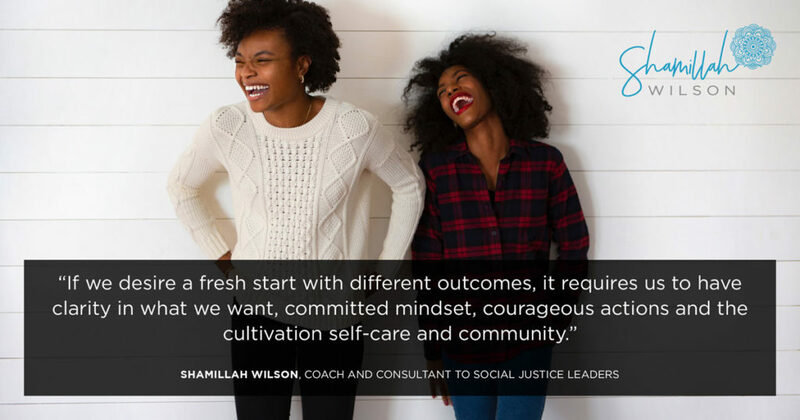 This entry was posted in Quote and tagged Committed mindset, Cultivation of self- care, Shamillah Wilson. How to make your new year’s resolutions work and have a lasting impact on your life. The good, the bad and the shelly to guide you on your life’s journey!